If you live in Orlando or anywhere across central Florida, and you suffered an injury or loss as the result of someone else's negligence or wrongdoing, you need to have a passionate, award-winning attorney on your side to help increase your chances of securing the maximum amount of compensation you deserve. Tina Willis Law in Orlando can provide just that. The law firm's founder, attorney Tina Willis, once served as an insurance defense attorney, and she has more than 21 years of experience handling highly complex, multimillion-dollar liability cases for both plaintiff and defendants alike. Focusing solely on plaintiff personal injury claims, Ms. Willis delivers personalized, effective legal advocacy for those suffering through no fault of their own, and her law firm has become one of the leading personal injury practices in the area. Whether your suffering is the result of a car, truck or motorcycle accident; a slip-and-fall accident; an act of medical malpractice; or any other preventable tragedy, you can rely on Ms. Willis to fight aggressively on your behalf. She promises to remain with you until the resolution of your case to ensure she has done all she can to assist and support you during this difficult and uncertain time in your life. Worried that you can't afford an attorney? Don't be. 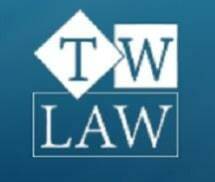 Tina Willis Law offers free initial consultations, and they work on a contingency basis, which means they only get paid if they win your case. As such, you have nothing to lose and everything to gain by contacting their law office and speaking with Ms. Willis about your matter.